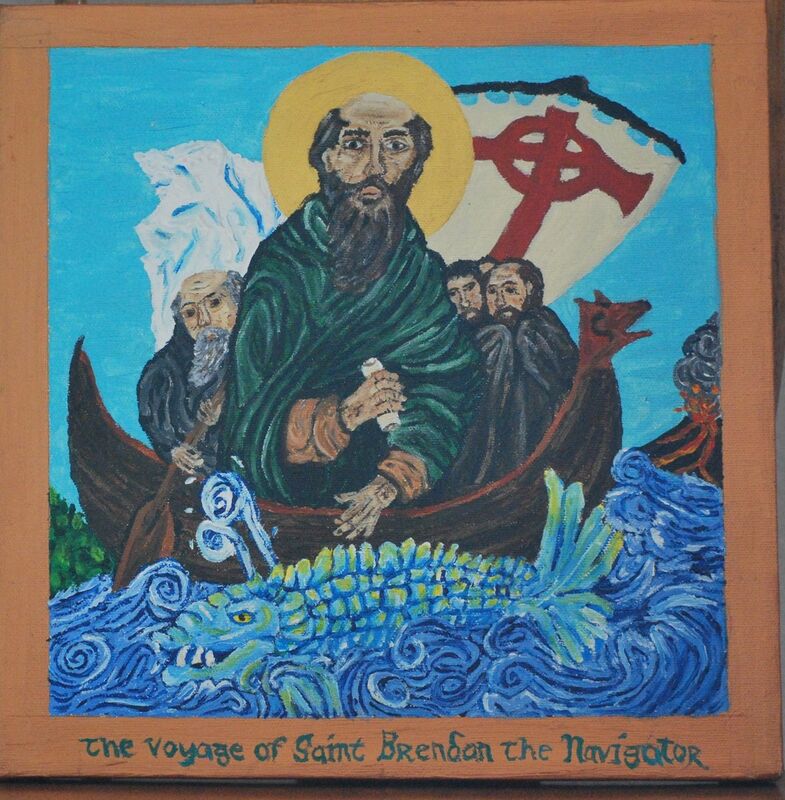 This Icon is a re-telling of the Voyage of Saint Brendan across the North Atlantic to the Americas and Back. In it, several moments and places are depicted. From Left to right, we see the lushly-forested Isle of the Blessed (almost certainly part of the eastern sore of North America, although where cannot be said for certain), an iceberg (described in the text as an island of crystal), the sea beast they encountered while serving the Paschal liturgy on the open ocean, and the "isle of fire and flames," which certainly describes an Icelandic-style volcanic eruption and emerging island. I also chose to depart from traditional-style Byzantine iconography, and emulate Irish Medieval/Dark-ages style Iconography instead (best seen within the Book of Kells). 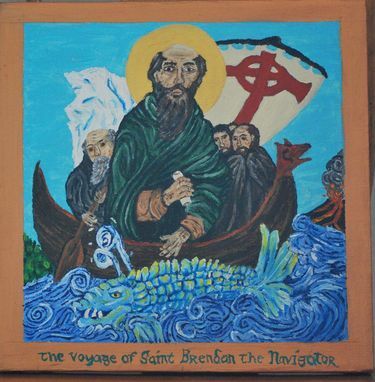 Overall, a fun project, mostly done for my own benefit, as St. Brendan is one of my favorite saints, and one whom I asked for a lot of help and prayers from this summer, as I voyaged across the United States myself.